Telemedicine start-ups remove the need to physically go into a doctor’s office for a PrEP prescription. We have highlighted the existing programs below, with more on the horizon. We also include online pharmacy options for delivery of your medications. This page will be updated as the online space grows. Please use the drop-downs below to read more about the available online options for accessing PrEP. These companies may not operate in every state. Be sure to double check that these options are available where you live. Questions? Chat with us by clicking the chat bubble to the right! Nurx is a telemedicine startup based in San Francisco dedicated to making PrEP and birth control more accessible to everyone. Through the Nurx website users can get a prescription from a licensed physician and have their medication delivered right to their door. Nurx is currently available in many states with plans to be operating nationally soon. 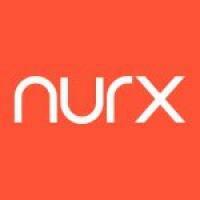 Nurx also works with all major insurance companies and can assist with navigating payment assistance programs. Using Nurx to access PrEP is easy, fast, and reliable! This entire process can take 4 to 7 business days, depending on how quickly you get your labs completed. Get excited! Your PrEP will be mailed to you in a discreet box. PlushCare allows you to book an appointment to speak with a doctor over the phone or computer and will send the prescription to your pharmacy of choice. 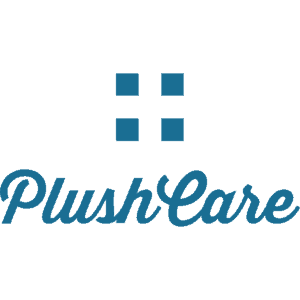 PlushCare is currently available in several states and is adding new states monthly. If it is not available in your state please check again in the future. Book an Appointment: Book an appointment on prep.plushcare.com by creating an account and entering in your insurance information. We generally have appointments available every 15 minutes. Video Chat with a Knowledgable PrEP Doctor: Face-to-face with a doctor from their computer or our iOS/Android app. Our doctors are from the top 50 medical schools and are all trained on best practices for PrEP. Complete Lab Testing: After the appointment, the doctor will request labs, including HIV testing and standard STD testing. Labs can be completed at any Quest Diagnostics or LabCorp location. Pick Up Your Prescription: Upon receiving HIV negative results (typically 3 business days after testing), the doctor sends the PrEP prescription to your local pharmacy. We'll reach out to you in 3 months when it's time for a refill. PrEP. Prescribed online, delivered to your door. With MISTR you can consult securely online with a licensed physician and complete all required lab testing at home. Insurance or no insurance we can help! GET STARTED NOW. Most insurance plans cover PrEP – if yours doesn’t, MISTR can help you qualify for financial assistance programs, so you have little or no out-of-pocket costs. No needles and no need to go to the doctors office, you can do everything at home! Already have a prescription? MISTR offers free delivery anywhere in the United States, and prescription renewals are quick and hassle free. 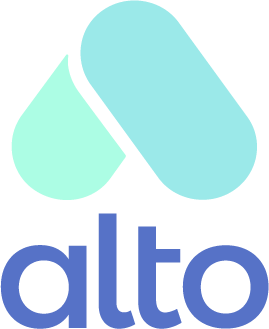 Alto makes getting your PrEP easier than you ever thought possible. Currently available for patients in the SF Bay, LA, and Orange County regions. Have an existing prescription? Make an account at alto.com and transfer it into Alto. Alto will reach out via text so you can schedule when you want your PrEP delivered. Your delivery comes to your door, as fast as the day it’s prescribed. The packaging is discreet to protect your privacy. TIN Rx is an independent pharmacy chain that specializes in PrEP for their patients. Our staff is very knowledgeable about PrEP and works with you to find payment assistance if needed. We have discreet delivery and mailing options that are available to all patients. Through the TIN Rx website users can schedule an appointment to see a doctor directly from their smart phone or mobile device. Your prescription for PrEP is transferred to TIN Rx and our helpful staff will contact you with the details. TIN Rx cares about all our patients and we make sure you receive your PrEP fast and discreet. We are active in the LGBTQ community and offer our patients a stigma-free pharmacy experience. Schedule your video appointment with a provider from our website. Appointments are generally available every 15 minutes and same day. Talk to a doctor face to face during your video appointment to see if PrEP is right for you. The doctor will send TIN Rx your prescription and we will contact you for delivery. TIN Rx will mail or deliver your PrEP in discreet packaging to your door or mailbox.